Always Drunk: You Know What Tomorrow Is, Don't You? You Know What Tomorrow Is, Don't You? Tomorrow is March 22nd. You know what means, don't you? Want to blow out my candles, baby? If you've been reading my blog since last year at this time, YOU'VE WASTED THE LAST YEAR! GO READ A DAMN BOOK! Anyway, if you've been reading my blog since last year at this time, then you may remember that I went a little nuts when Bill (I call him Bill, for no good reason) turned 80. I believe there were five posts dedicated to the Once and Future Kirk that day. Five awesome posts. That shirt is stuffed with awesome. 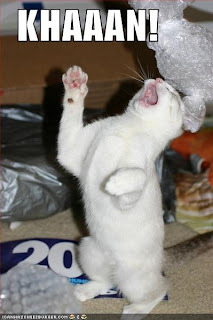 I've added a "The Shat" tag to my "Mostly What I'm Ranting About" list on the right side of the page there so you can review the glory of last year's birthday Shat-a-Thon at your pleasure. And it will be your pleasure. Oh, yes. 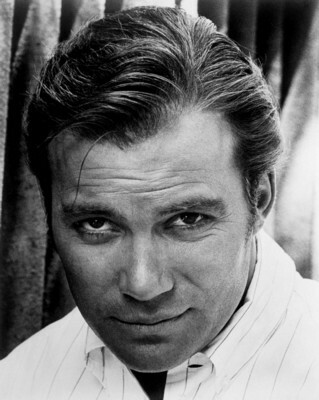 Here's what's especially super-awesome about William Shatner's birthday this year: He's spending it right here in Dallas! Woo-hoo! Bill (did I mention I call him Bill?) 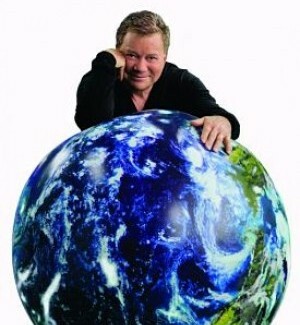 is performing his one-man show, "Shatner's World: We Just Live in It" at the Majestic Theater tomorrow night, and he'll be interviewed in the morning on my favorite radio station, KLUV. 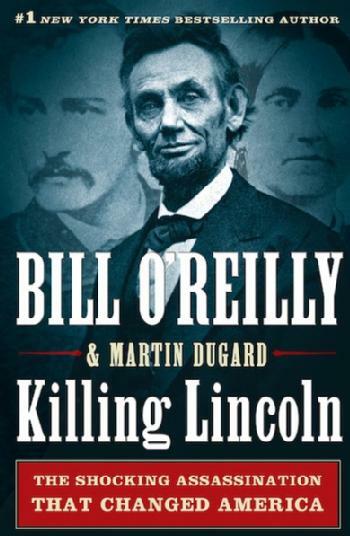 Forgive me, Bill. Can I call you Bill? 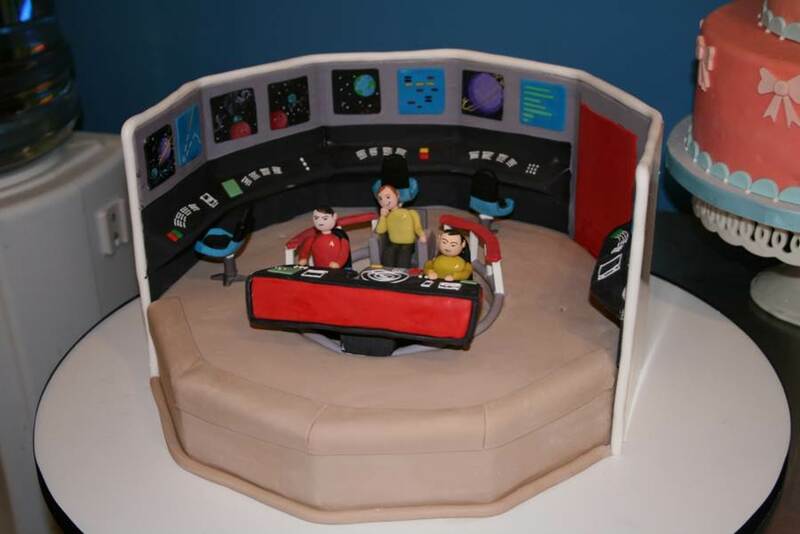 But I wanted to give you all a heads-up on The Shat's birthday so you can prepare your celebrations. Maybe whip up a cake. By the way, in honor of his birthday, voice actor Maurice LaMarche (The Brain, people!) 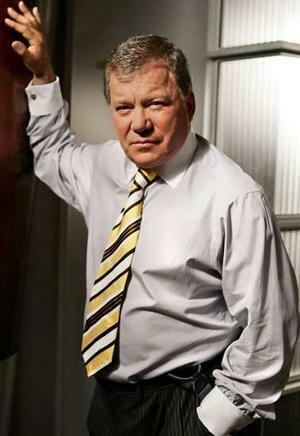 has decreed that March 22nd is also International Talk Like William Shatner Day. So brush up on your stilted dialogue and practice shouting "KHAAAAAAAAAAN!" or you'll feel like a real dummy tomorrow when you're the only one not doing it, K? 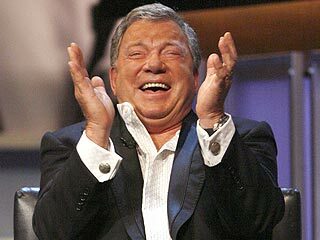 For next year, I'm working on getting William Shatner's birthday declared a national holiday so I can take the day off. I love days off. Almost as much as I love Bill Shatner. Maybe not quite as much as he loves himself. But that would be a lot of love. 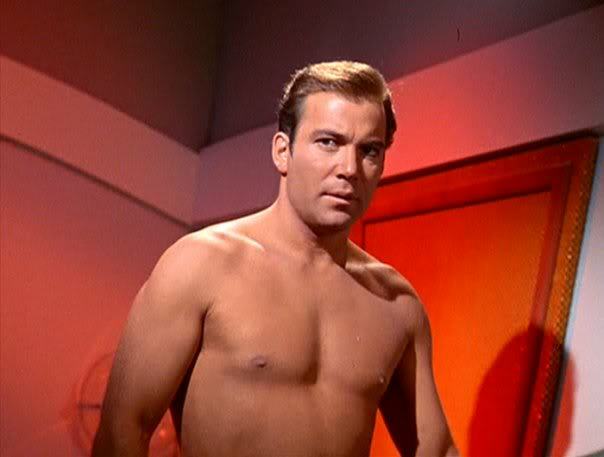 More than a non-Shatner could handle without imploding. Hugz, Bill. We're like this (holds up crossed fingers). We're tight. If Shat invites me backstage, you can come with.